Chief Deputy Lee Weems, who was one of those on the scene, said he witnessed an Animal Control officer write a citation for a violation of the county’s animal control ordinance, but that citation was not yet in the county Clerk of Courts Office late this afternoon. 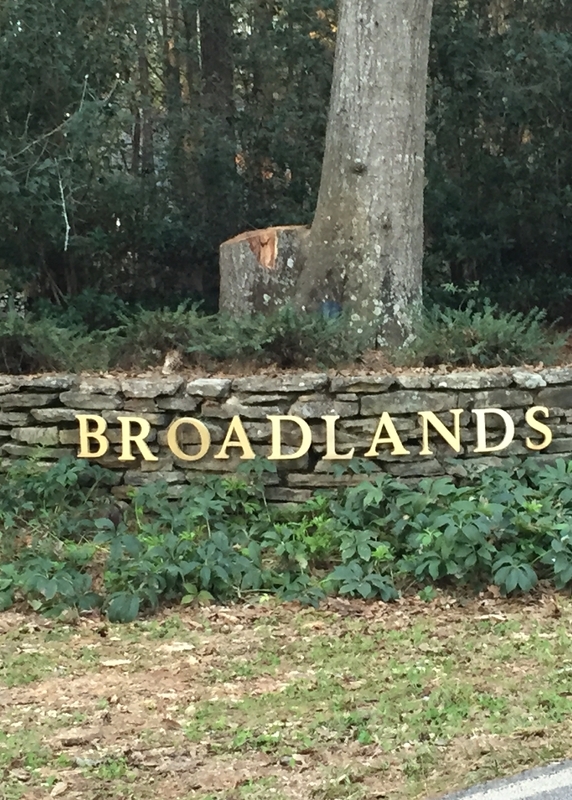 According to the Sheriff’s Office incident report, Nicholas Hensley, an animal control officer, called the Sheriff’s Office at 11:42 a.m. on Tuesday from an address on Broadlands Drive asking for assistance. Hensley had gone to the location after being called by a trash collection company reporting that “several deceased cats had been found in the trash can” at the address, according to the report. Lt. J. Wasdin, the reporting officer, wrote that “I asked the home owner where the cat that was taken from the trash can was, and he advised he did not know. “He stated that he placed it in the rear of his truck, left to feed his horses, and when he arrived at the horse barn the cat was not in the back of the truck,” Wasdin wrote. The report does not indicate how many cats were in the trash can. Wasdin wrote the he advised Hensley that he, Wasdin, would write a report for the Sheriff’s Office. “The animal control officer chose to issue the home owner a citation for the ordinance violation,” Wasdin wrote. The offense, according to the incident report, was cruelty to animals. According to Chief Deputy Weems, with whom I spoke by telephone this morning, the Sheriff’s Office and the Animal Control Department have equal authority in terms of writing citations for the county’s animal control ordinance. Wendy Jackson, special events coordinator for the Oconee County Animal Shelter, posted about the incident on her Facebook page on Wednesday morning and got several quick comments. “It is completely disheartening to be an animal advocate in a county that does not value the lives of animals, or feel they need to uphold animal cruelty laws,” she said. Jackson reposted about the event later in the day, again getting several comments. "I cannot for the life of me understand why this individual was not arrested for animal cruelty," Jackson said. “It has been determined that the requested documents are records of a pending investigation or prosecution of a criminal or unlawful activity by a law enforcement, prosecuting, or regulatory agency and are not required to be released,” County Clerk Jane Greathouse, the open records officer for the county, wrote to me today. “Once the investigation is complete, the documents determined to be eligible for release in response to this request will be provided to you,” Greathouse wrote. After I received this response, I asked Greathouse to release the citation and the incident report, and she indicted she would review that request and get back to me on Monday. Certain documents are exempt from disclosure under the state’s Open Records Laws. “Initial police arrest reports and initial incident reports” are not included in the exemption, meaning they are open to the public. Angela Elder-Johnson, clerk of Superior, Magistrate and Juvenile Courts for the county, told me this afternoon that she had not received any citation from Animal Control regarding the incident in the Broadlands, but that there is often a lag between when the citation is written and when she gets it. She said any citation is open to the public. The case would be in Magistrate Court. The report released by the Sheriff’s Office contains the address at which the incident with the cats occurred on Tuesday. Broadlands Drive is off Simonton Bridge Road. It also provides the name of the resident. Because I have not seen the citation and cannot be certain that one has been issued, I have not included the name or the address in this post. I will provide that information when I have been able to see the citation. I have been an animal lover for years and have worked with several rescue organizations both local and state wide to protect animals. I abhor animal cruelty and feel anyone that deliberately abuses an animal should be punished. I too raise chickens for eggs to eat. However I have the right to protect my property and my chickens from harm and if all other measures have been exhausted then I will HUMANELY KILL any animal that is killing my chickens! As long as this person did not torture the cats they then had the right to kill them. Don't know how the cats were killed, but a well placed shot will do the trick. Where they made the mistake was putting them in the trash instead of burying them. This is my opinion and I am sure others may not agree. I agree with you Anonymous. If the chickens were threatened by the cats, the owner of the chickens had the need to protect the chickens. Unfortunately, the cats were just being cats and those that belonged to someone will be missed by their owners. Of course, the cats may have been feral. It is sad though that the cat problem was solved by the chicken owner in this way. A relative of mine lives a few houses away from the gentleman in question, and says he's not a good neighbor, leaves junky trailers in front of his property, and is just a grumpy man old man. So much for Southern Hospitality. She has NEVER EVER seen feral cats in the 20+ years she's been there; lots of deer & rabbits, and an occasional fox or raccoon, but no feral cats ever. Interesting that the gentleman never made an previous complaints to Animal Control regarding feral cats. Kudos to Animal Control and the Sheriff's Dept. for taking this seriously. A cat that is attacking my livestock is no different from a coyote or fox. Or a mouse in my house for that matter. They will be killed in a trap or with a gun shot. Pet owners are required by law to keep their pets on leashes and on their own property. If these pests were killed while in the vicinity of the man's chickens on his property, they are a pest that needs to be dispensed with. If there is a law against disposing of pests in the garbage, then maybe he could be charged. If not, this case is a waste of law enforcement time. This man in question had at least eight bowls of food and water on his front porch for the cats to eat and drink. There are cats and kittens on his front porch regularly. He told the Animal Control Officer that he shot them because he was tired of feeding them. He said he had listed them on Craig's list to get rid of them. I suggest that the fact of cats killing his chickens may have been more of a convenient excuse. If you are trying to discourage animals from hanging around your residence, you do not feed them! If you are killing pests as you called them, you kill them - you don't leave one of them mortally wounded yet thrown into a trash can left to die slowly in pain.